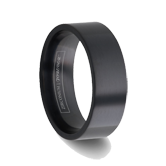 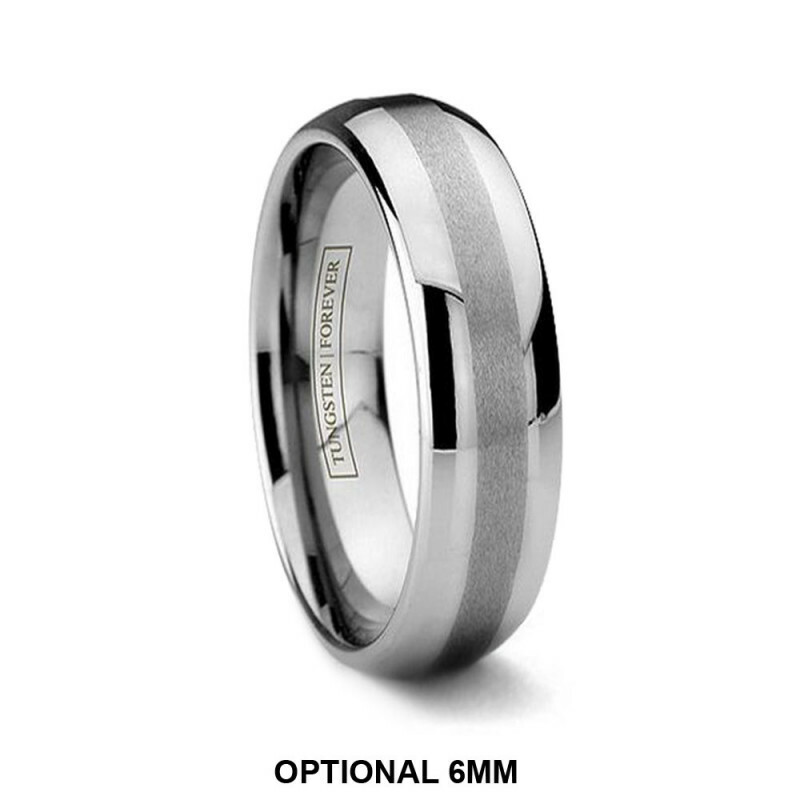 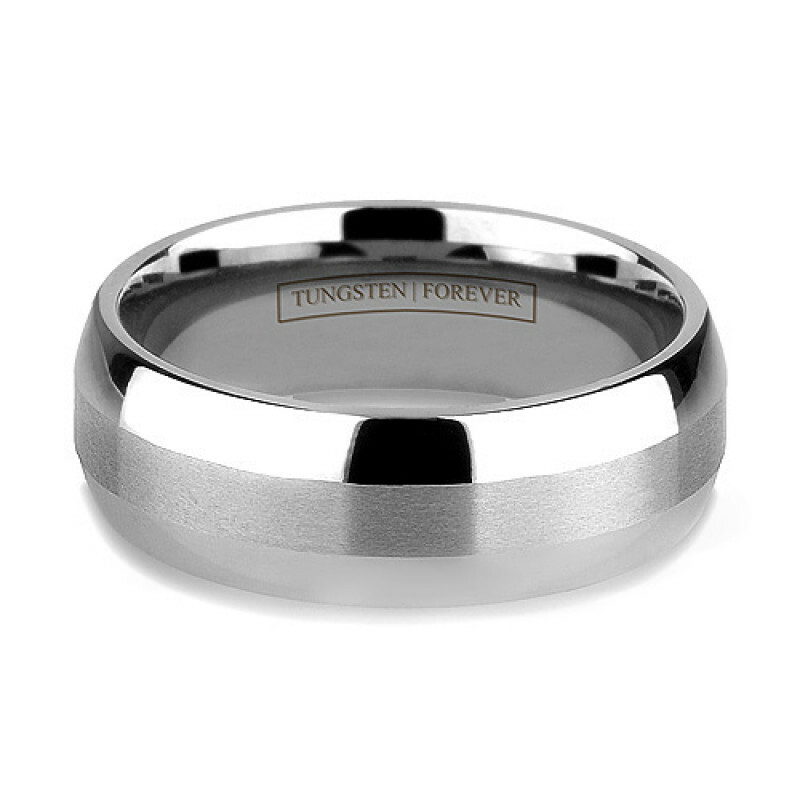 This Tungsten Forever wedding band's highly polished edges compliment the fine 3mm wide matted center with a grain-like texture. The rounded edges provide a very smooth and comfortable fit. 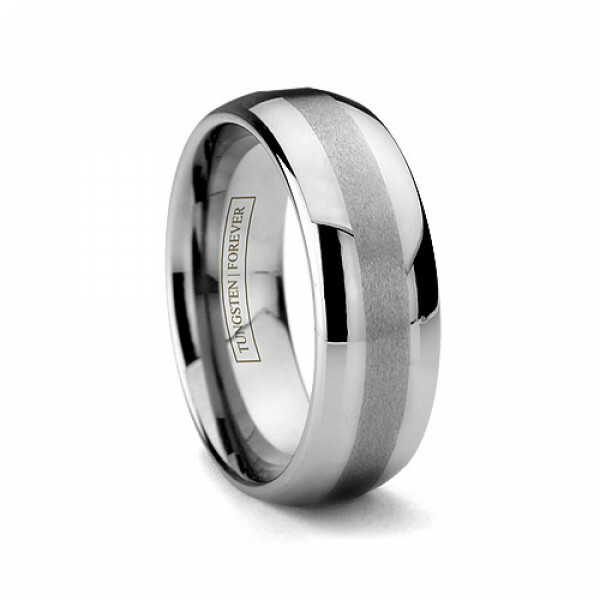 The ring is hypoallergenic and highly scratch resistant. 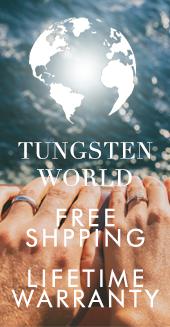 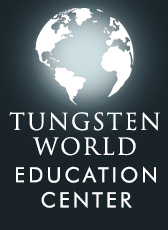 Unlike other tungsten rings online, our Tungsten Forever™ bands are independently tested to guarantee they are the toughest of them all! Review by Mklemm (, ) - Husband Loves It! 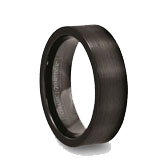 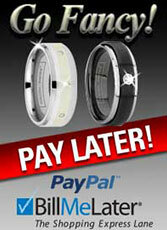 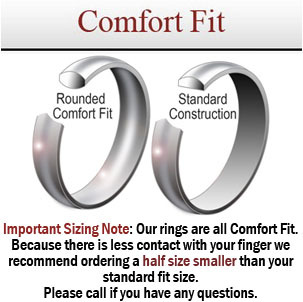 Review by Schmidty (Boone, Iowa) - Great ring for a great price!! 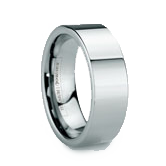 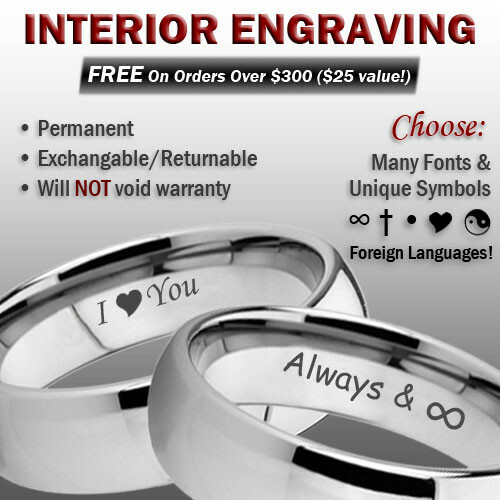 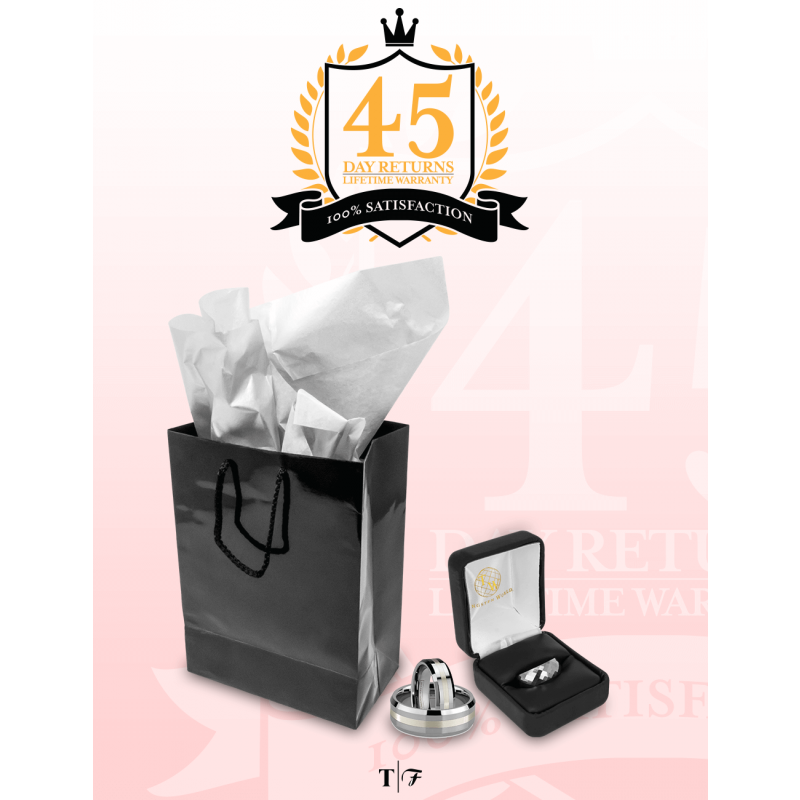 Review by Fatima (Glencoe, Illinois) - Would recommend the ring and this site! 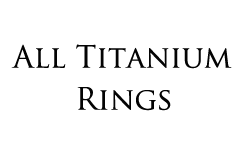 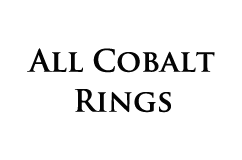 Review by John (Mesa, Arizona) - Great Service!